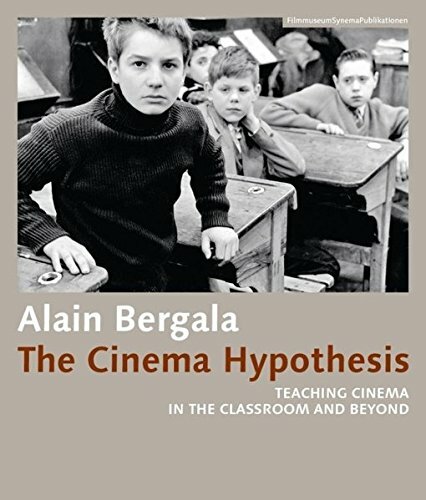 This is the first English translation of Alain Bergala's seminal text on the potentials, possibilities, and problems of bringing film to schools and other educational contexts. Based on the author's own experiences of writing about and teaching film as well as serving as an adviser to then-Minister of Education Jack Lang, Bergala promotes an understanding of film as an autonomous art form - rather than viewing it as a supplement to other established school subjects. Film, for Bergala, is not something that has to smoothly blend into the school but something that can serve as a productive rupture, for both institution and pupil. Published in collaboration with the British Film Institute, this edition will be complemented by a new introduction on the occasion of its first appearance in English and a conversation with Bergala about the current state of film education on an international scale.